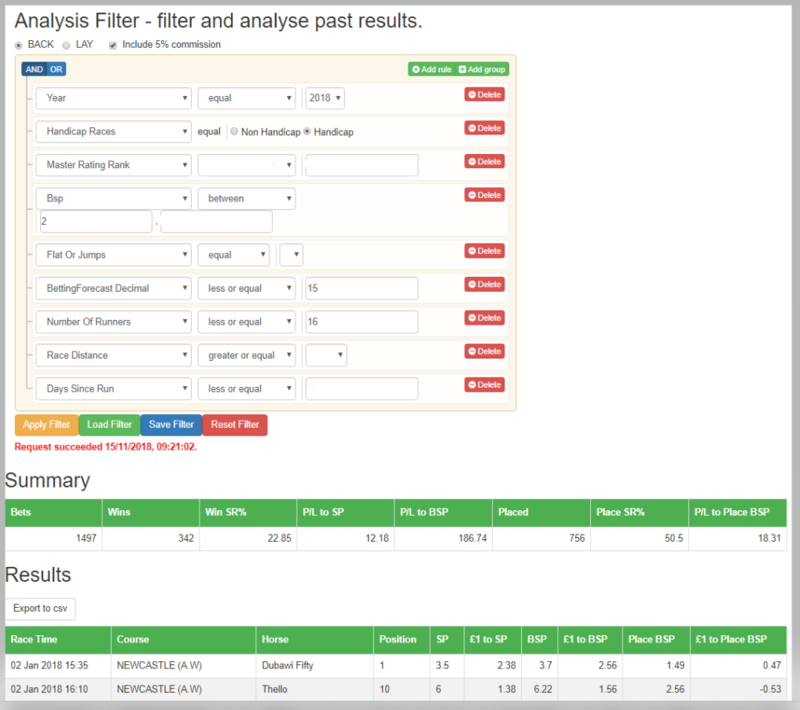 We will soon be releasing the first version of our System Builder which will allow you to analyse racing results using past speed ratings information to see how the ratings perform in different types of races on different surfaces and much, much more. You will also be able to test your system ideas without the need to use the ratings to find your own profitable angles and should hopefully be a great addition and benefit to users of the website. There are nearly 50 categories of form to select from ranging from Date Range, Race Class, Going, Days Since Run and Number of Previous Runs to Horses Age, Headgear worn, Last time out position, Sire Name, Trainer and Jockey plus more. There are also over 20 speed ratings categories where you can select any rating range or ranking, so for example you can test how well the top 2 in the Master column did when the rating is over 80 or whatever and then add in any of the form categories too and run your query. The image below which can be clicked to enlarge, gives a very basic idea of a system test you could run. It looks at all horses trained by Aidan O'Brien since 2014, where the BSP was 2 or bigger, with horses running at either Ascot or Epsom. As you can see, there has been a profit to BSP less 5% commission of over 175 points. Whilst this is not huge over 5 seasons of flat racing, it is certainly a micro system you could use along with others that could add up to a much better profit over time. 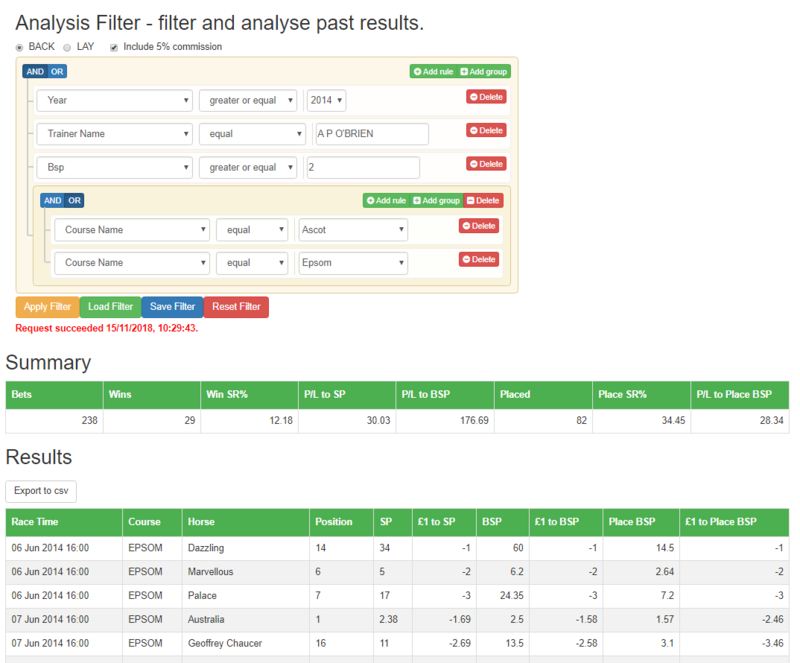 Of course you can start adding many more filters to the above query, like race distance, Jockeys used, number of runners, whether the race was a Group 1, Group 2 or maybe just handicaps and you can change, delete or add all of the filters all on the fly with the current filters staying just as they are. As you can see on the above image, once you have your results you can then save these and export them to a CSV file and manipulate the data again yourself and you can Save your own query's or filters and re load them again at a future date to see what the latest results for your own system ideas are. You can also choose to select Lay at the top and test a system against horses winning for laying purposes and this will work out the profit taking all winning bets as horses that lost and work out the commission accordingly. 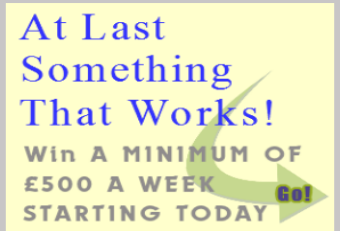 It is very easy to find a good angle or two using the system builder especially when you find something that could be very profitable. The image below shows another idea I have found with some of the criteria blanked out. All subscribers need to do is log in to the website and the full image can be viewed so that you can follow this system yourself if you wish to. As you can see there has been a profit of over 185 points to BSP after 5% commission in just over 11 months this year to level stakes and a further profit of over 18 points backing just to place. 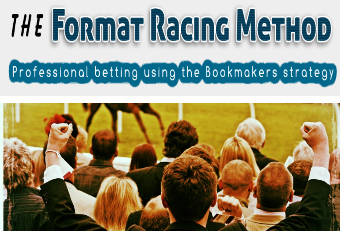 Incidentally, our place profits on the system builder, show using Betfair place rules not traditional each way bookmakers rules, which is better as we use the Betfair place prices. Whilst there is absolutely nothing wrong with the profits shown on the above ideas, you can try to increase these using a different staking plan on any system that you come up with. 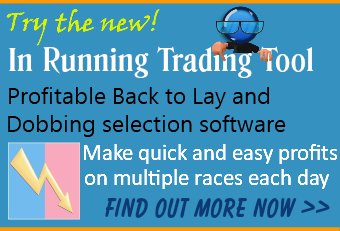 The Staking Machine is a piece of software that allows you to copy and paste your saved csv results and then either filter the odds ranges that you already have or just run your results through any number of backing or laying staking plans. Please note that any system idea should first make a profit to level stakes, otherwise it is unlikely to be sustainable using a staking plan. The system I found above did have some races where there were more than one selection in a race, however there is nothing wrong with this and you can still bet all selections to level stakes. For those who prefer to avoid this situation, I have been through the csv file of results that I downloaded and removed all bets where there were more than one bet in a race and it still made a decent profit of 77 points to level stakes, from just over half the number of bets. 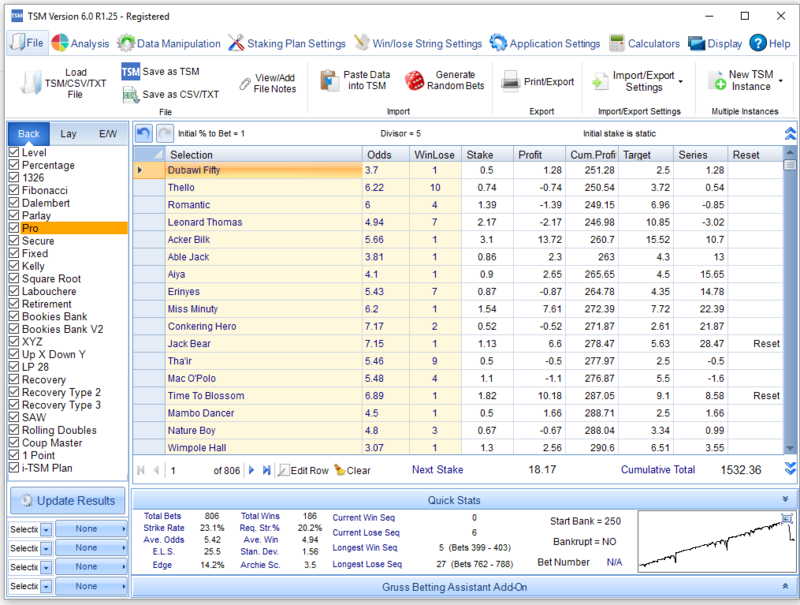 I loaded this set of results into The Staking Machine software and because you are not multiple betting in any one race, it is possible to try out some progressive staking plans such as the Pro plan below. As you can now see that using the Pro staking plan, starting with a bank of £250 and aiming to win 1% of the bank (£2.50) on each bet, where each bet is taken as 5/1 (divisor = 5), whatever the actual odds, the bank has increased from £250 to over £1,500. That's multiplying the bank by 6 in under one year and very importantly you would not have Bankrupt the bank at any stage, so you would always be a positive position from the start. If you are a subscriber to Inform Racing, then just log in and the full system with rules can be found on the Noticeboard. This piece of software is well worth a purchase and is very reasonably priced too. Inform Racing is the number one resource for UK horse racing speed ratings and has been successfully online since 2003. If you are a member you can follow this system now every day.